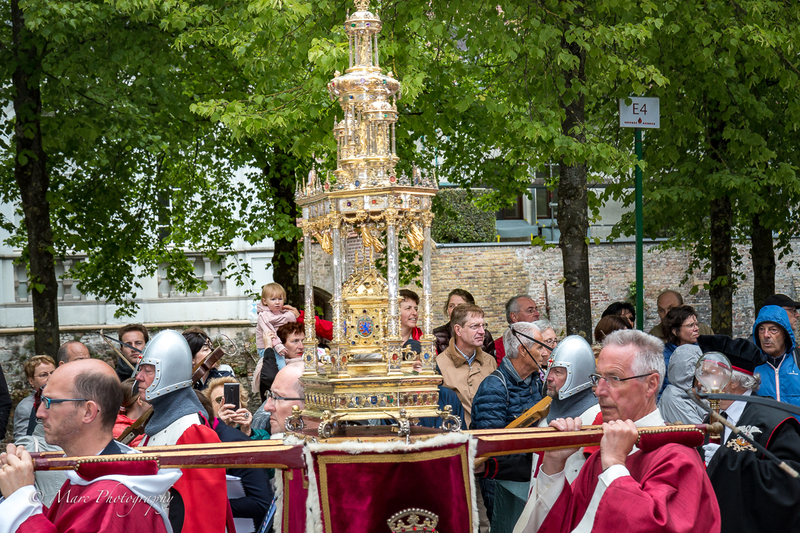 Although it is no architectural monument, the Procession of the Holy Blood is truely a monument of its kind. 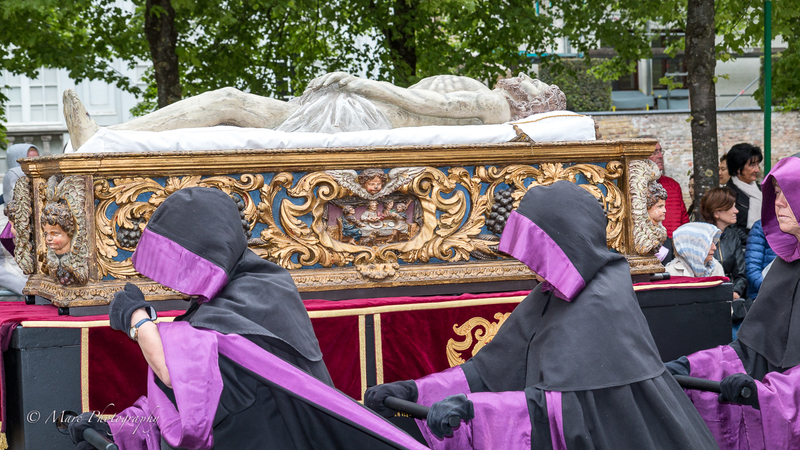 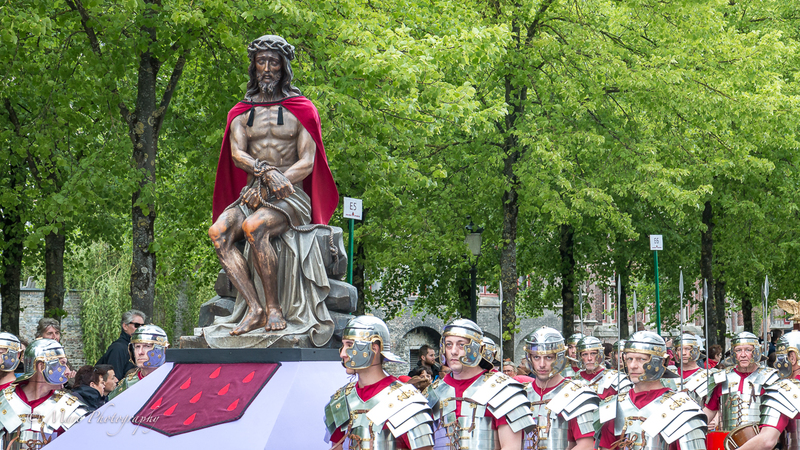 Each spring, 30,000 to 45,000 spectators gather in the heart of the Belgian city of Bruges to watch the Procession of the Holy Blood on Ascension Day, forty days after Easter. 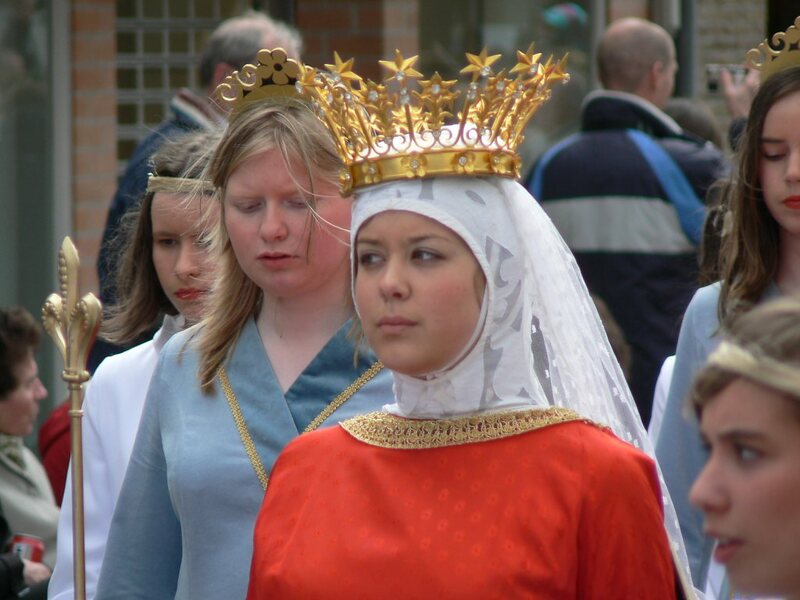 This ancient tradition is mentioned in a charter as early as 1291. 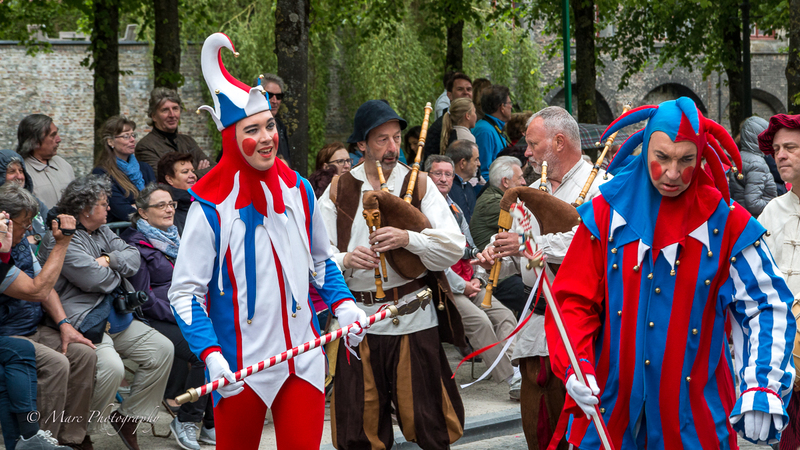 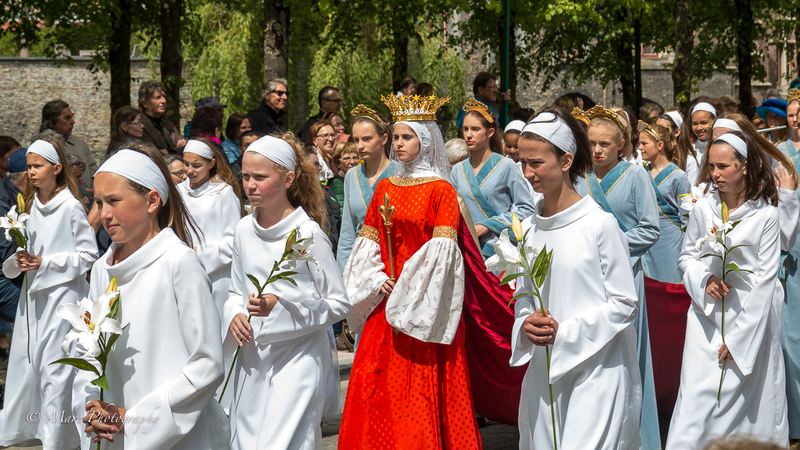 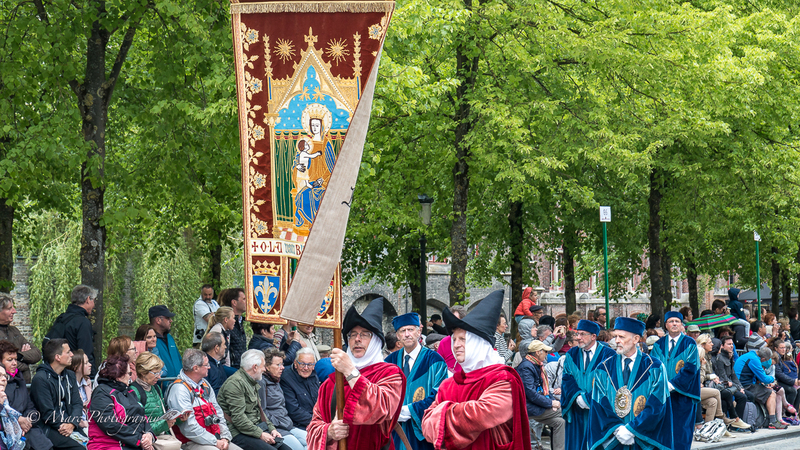 The colourful procession dates back to the thirteenth century, when a citizen of Bruges is said to have brought the Relic of the Holy Blood of Jesus Christ back from the Second Crusade. 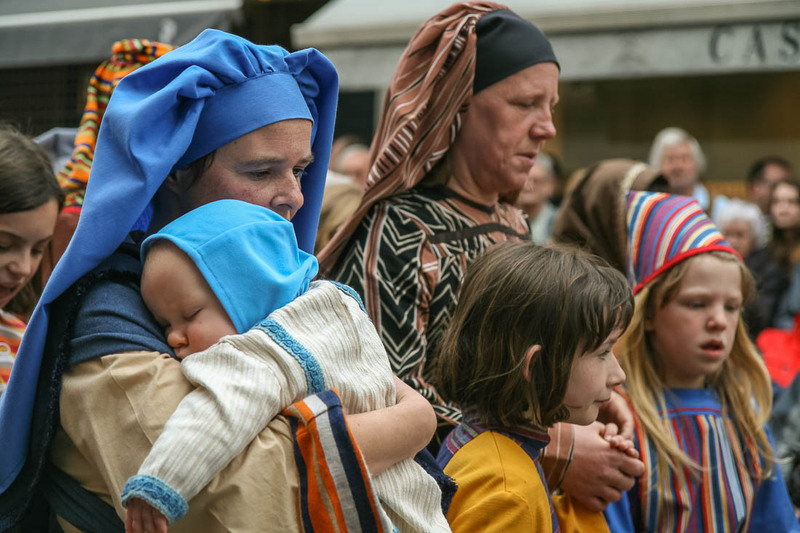 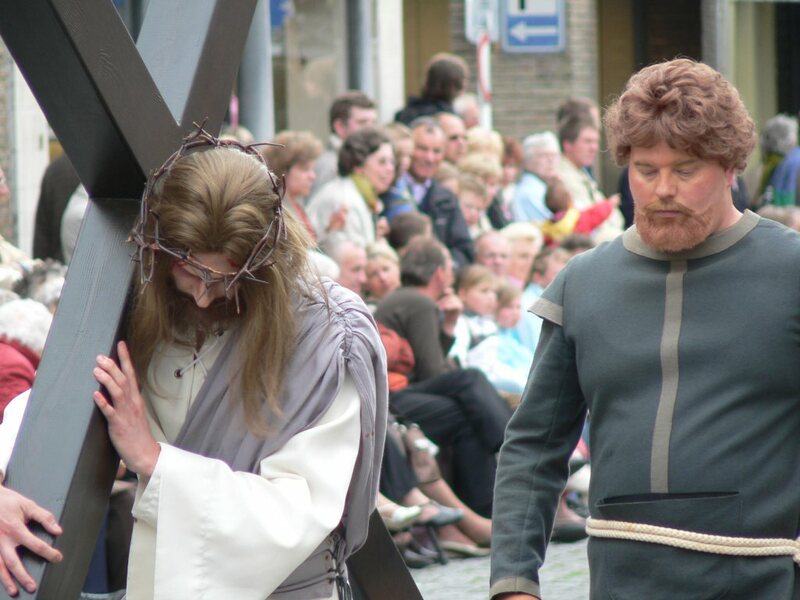 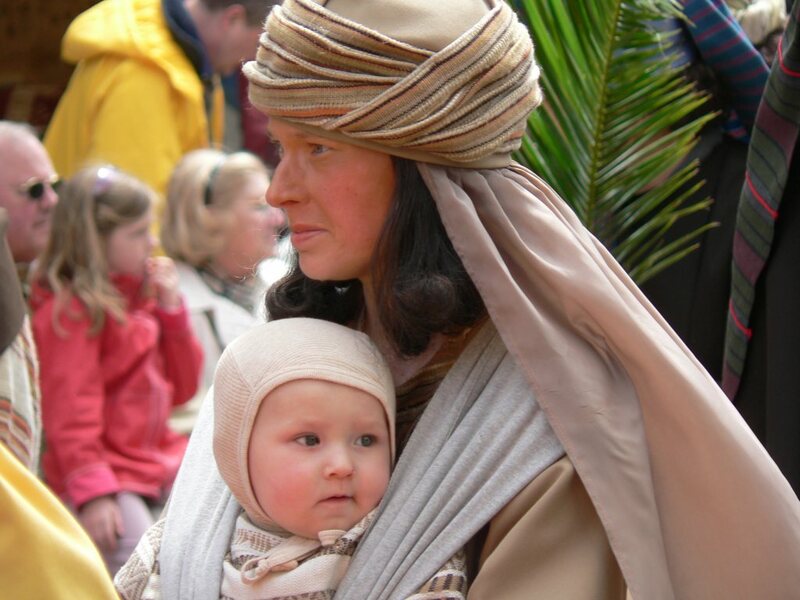 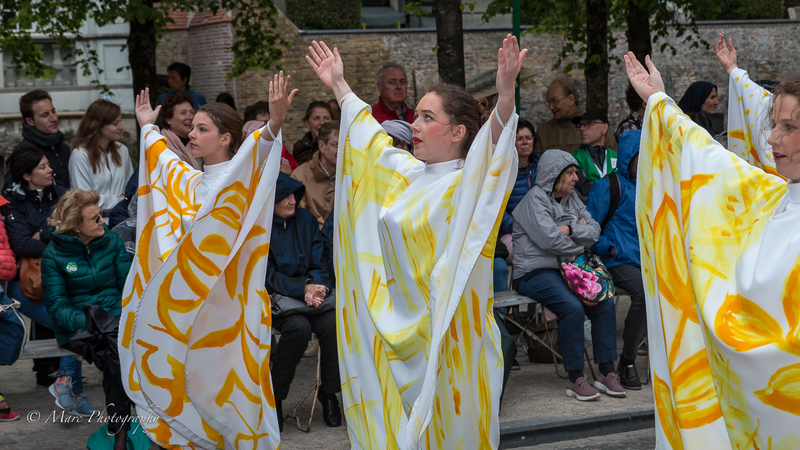 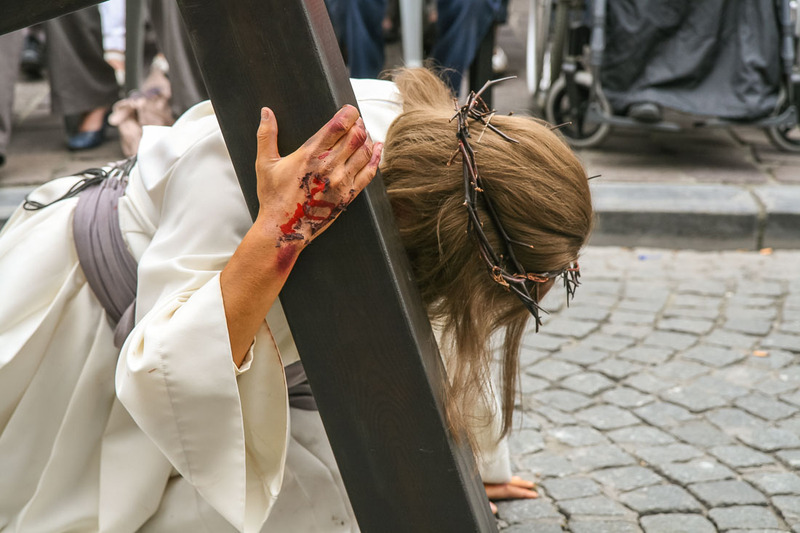 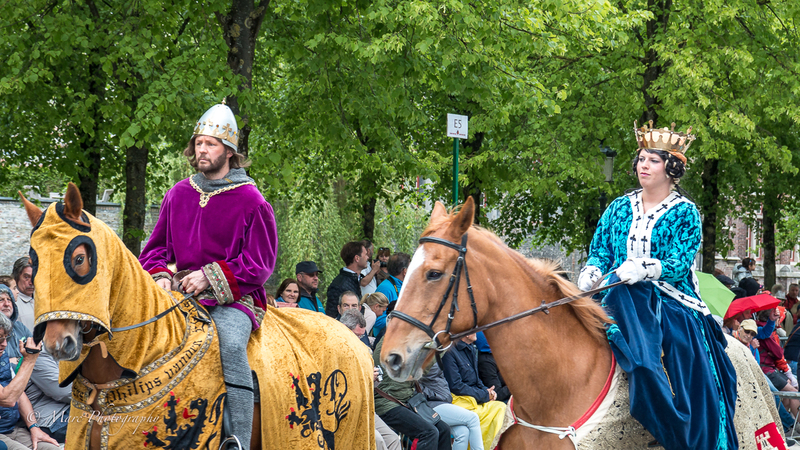 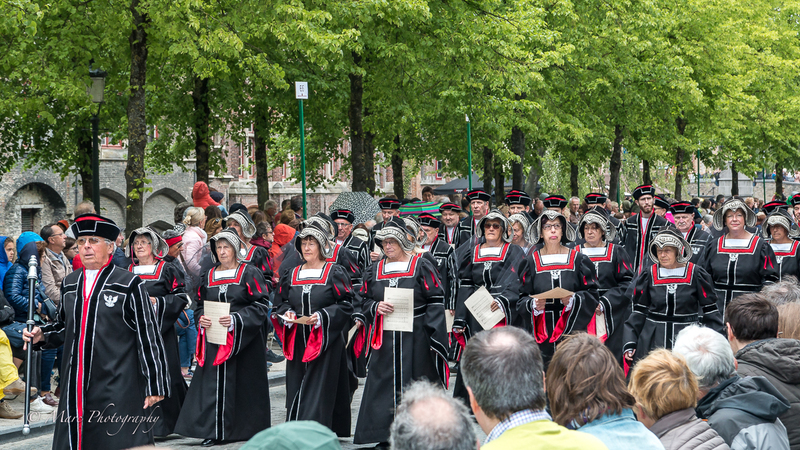 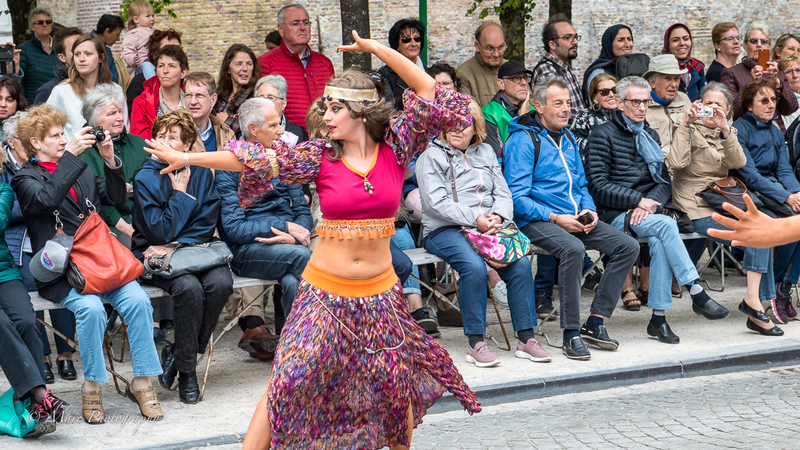 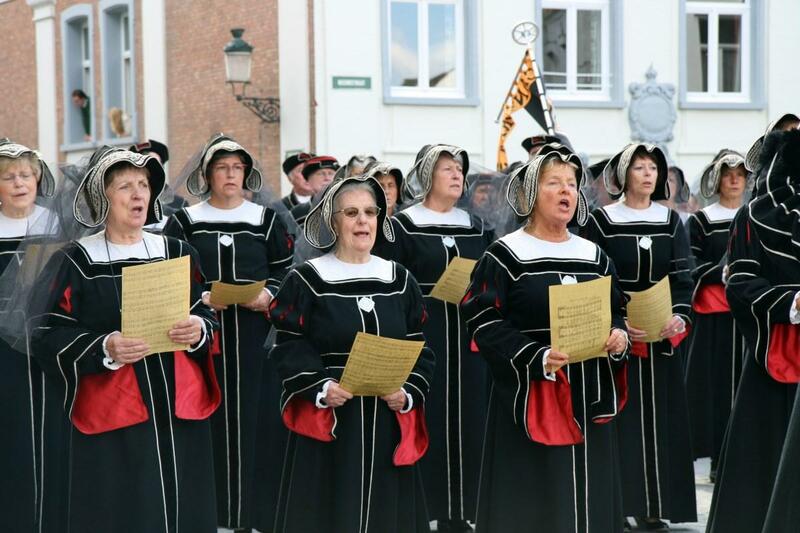 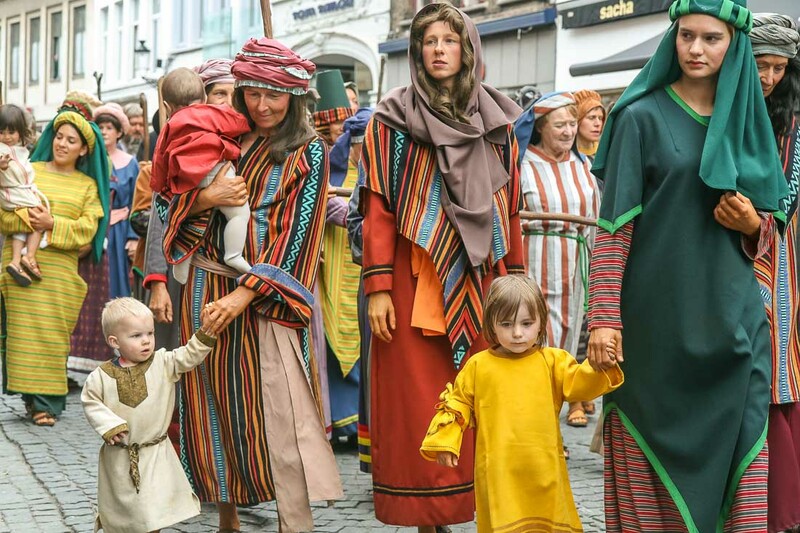 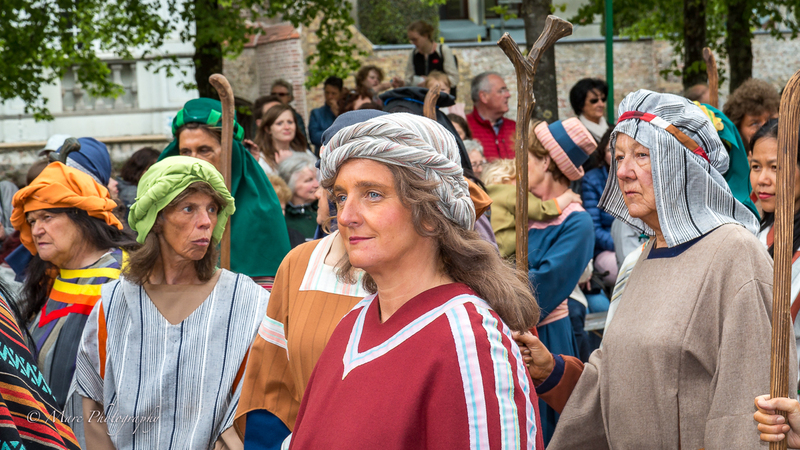 Led by the thirty city notables of the Brotherhood of the Holy Blood and accompanied by brass bands, more than 2,000 citizens on foot, in carts or on horseback perform stories from the Old Testament, the life of Jesus and the history of Bruges. 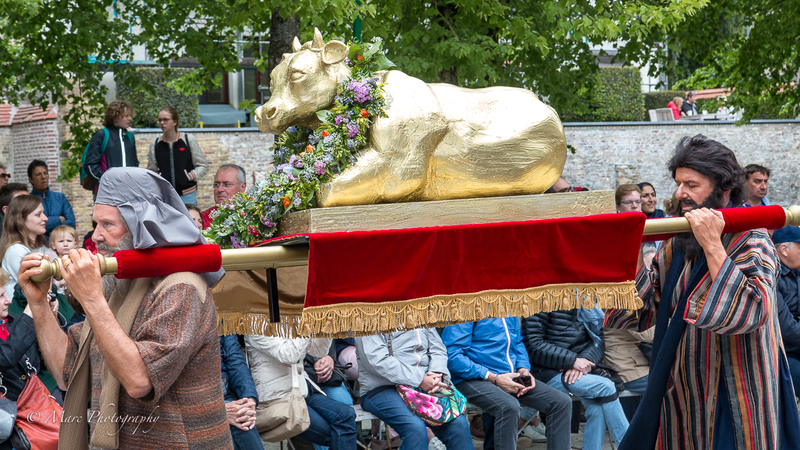 Then, various civic groups venerate the relic and the procession concludes with a prayer ceremony, performed in several languages to accommodate the international audience. 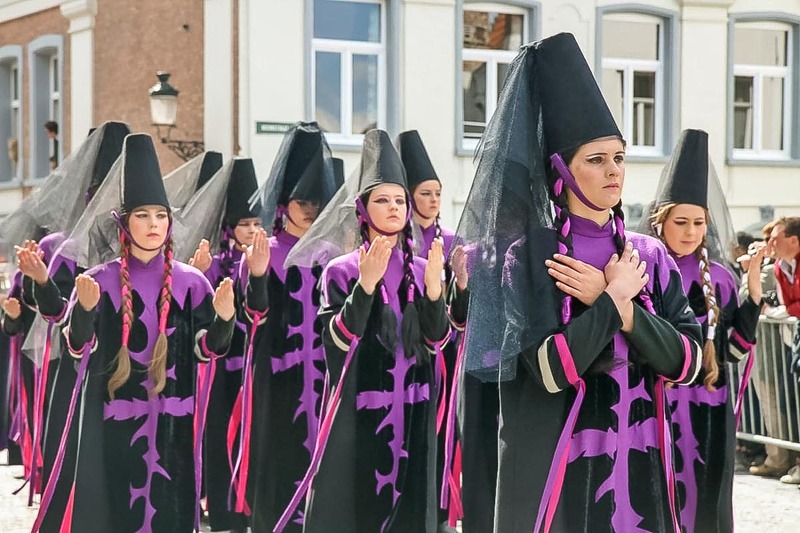 A colourful and memorable religious spectacle! 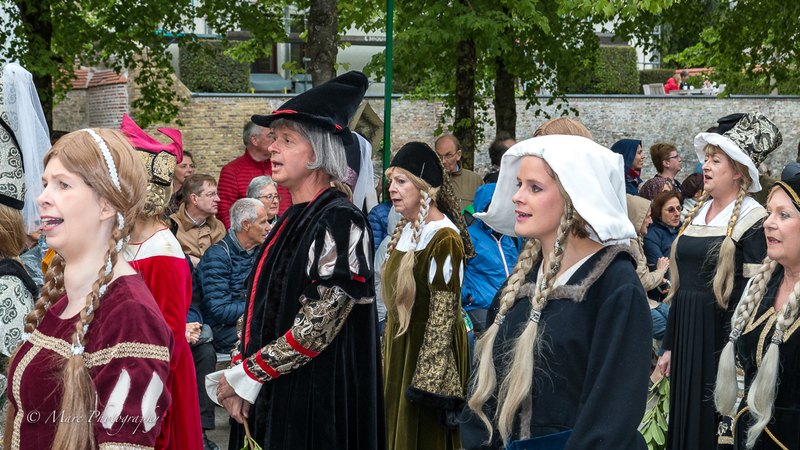 For centuries, the ceremony has played an important role in expressing the identity of Bruges's inhabitants and in facilitating encounters with people from outside the city. 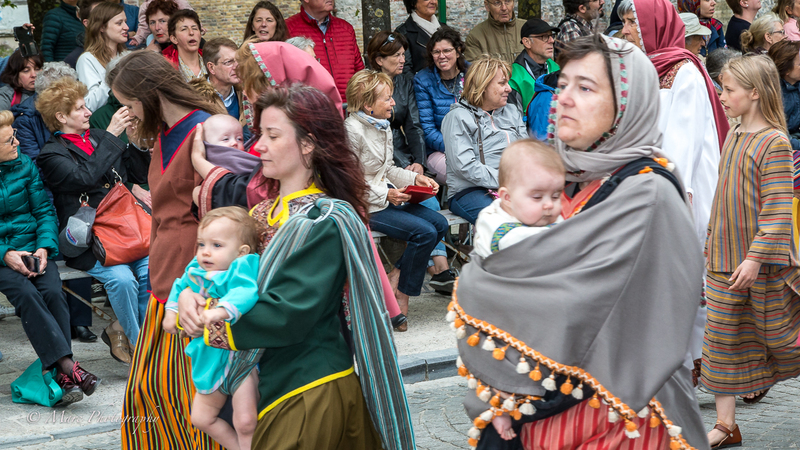 Participants are a representative cross-section of ages, families and communities. 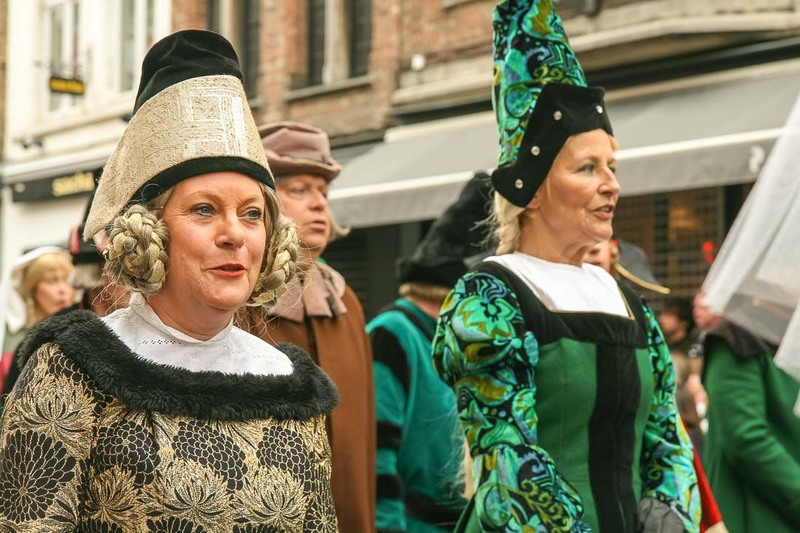 Some inhabitants have participated for forty or fifty years, and émigrés often return for 'Bruges's Finest Day'. 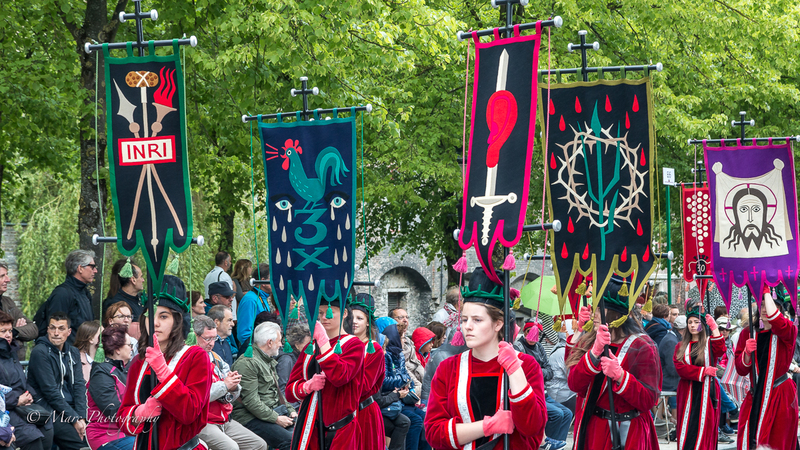 The Procession is a vibrant example of how a collective ceremony can unite a city through ritual enactment of its history and beliefs. 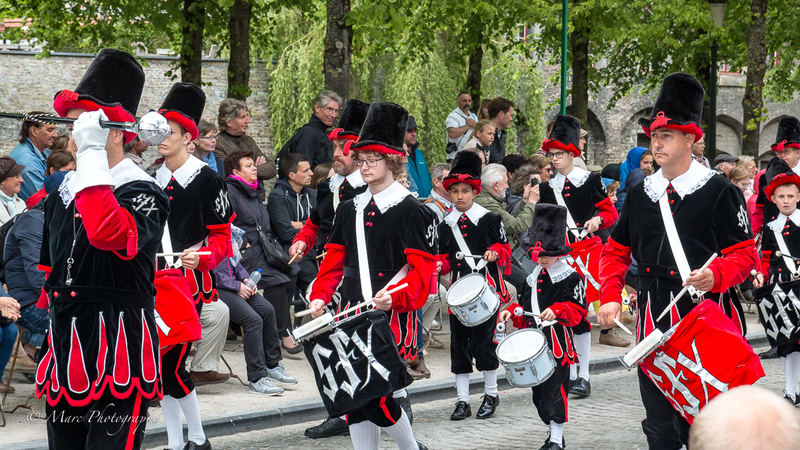 The people of Bruges love it very much. 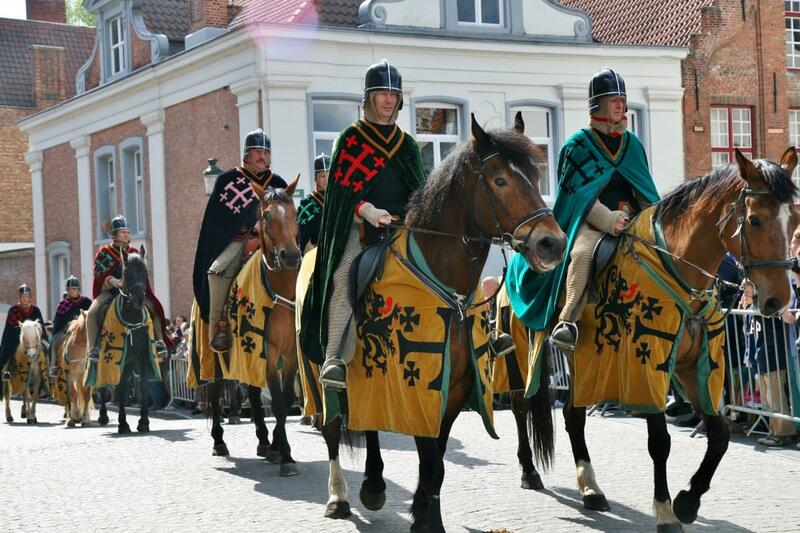 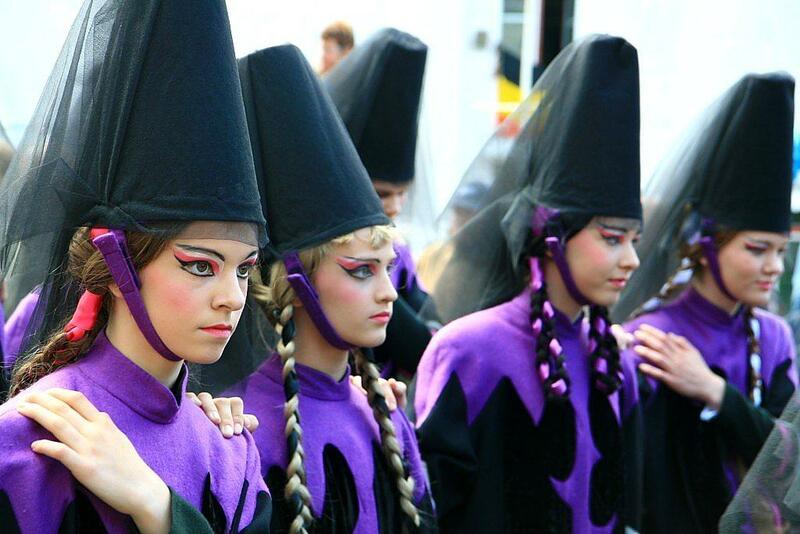 They say that the day of the procession is "Brugges' Schoonste Dag" (The Most Beautiful Day in Bruges). 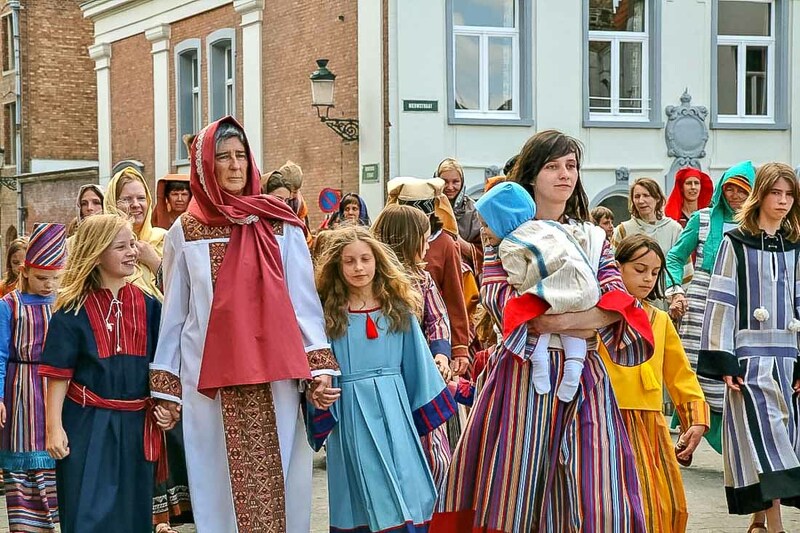 .Generally the whole city takes part in a very spectular event. 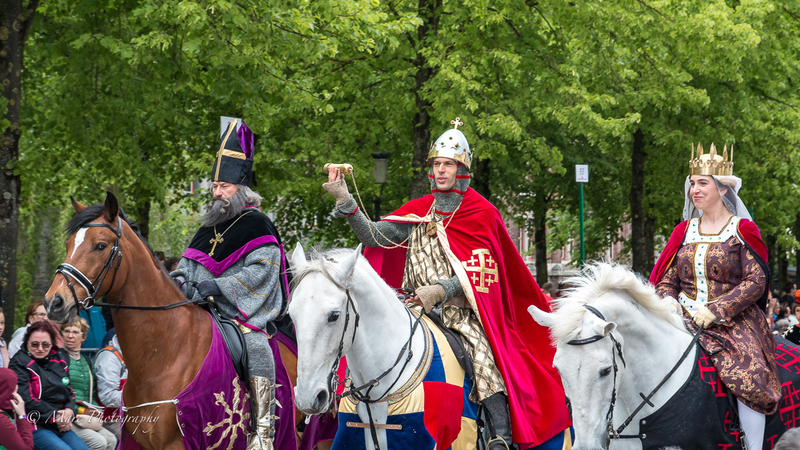 Legend has it that in 1150, after the second Crusade, Thierry d’Alsace, Count of Flanders, brought the relic of the Holy Blood of Jesus back from Jerusalem, to be placed in the Basilica on the Burg. 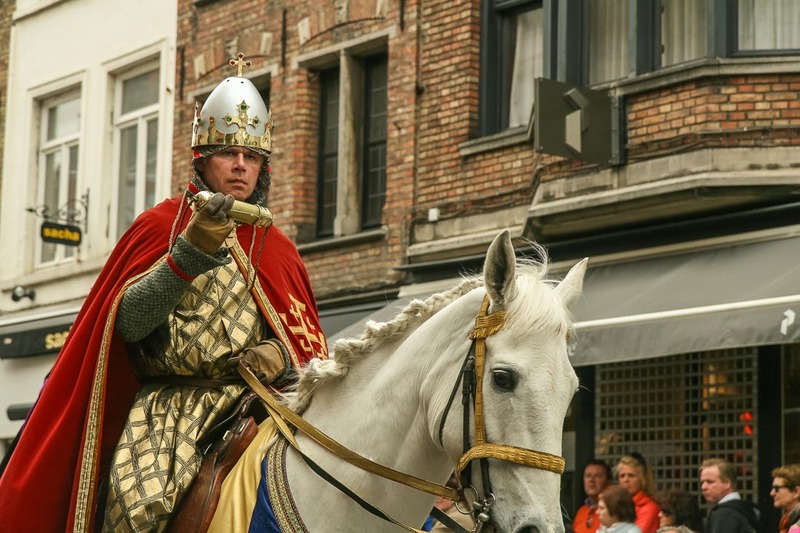 It is more likely, however, that the cloth was brought by Baldwin of Flanders ( later the first emperor of the Latin Empire ) from Constantinople during the Fourth Crusade, organized by Doge Enrico Dandolo of Venice and Marquis Boniface of Montferrat, when the city was sacked. 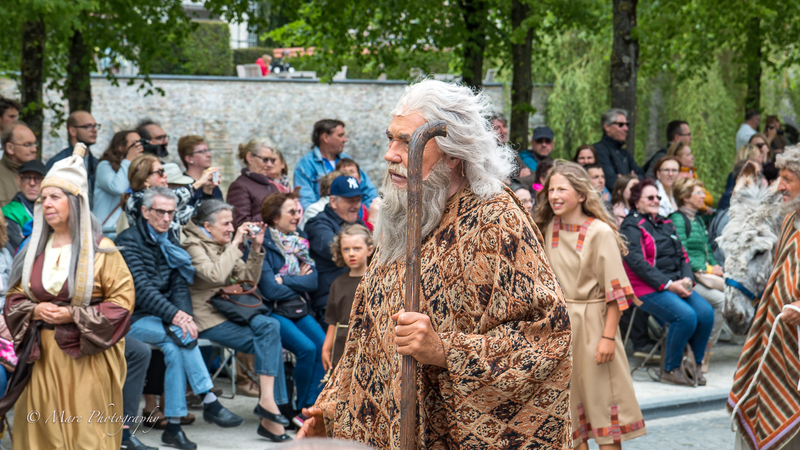 What we know for sure is that the legend contains several elements of popular belief and folklore.